The Driving in America Blog was started a year ago to bring more information to those who are beginning their journey as motorists’ rights advocates. Over the next several months, I will be working with each of the seven NMA principles to give readers of this weekly blog some idea of what we all are working towards as association members. We thank you for your support and please, if you have questions, ask below in the comments section. Having road users pay for upkeep and expansion of roads and bridges is fair. Charging them twice – as taxpayers and as drivers through the use of tolls and various fees – is not, particularly when the highway infrastructure continues to crumble and funds purposed for road improvements are funneled to unrelated projects. First, highway corridors are not assembled by willing buyers in competition with other willing buyers. The state identifies the corridor it wants, establishes what it considers to be a politically and judicially acceptable price, and condemns the land of those sellers who disagree. This is market principles at the end of a gun barrel. Toll road advocates argue that those who use the system the most will pay the most. Fair enough, but who determines what the buyers should pay? It isn’t competing sellers of similar services. Highway users do not have viable alternatives to buy highway services from other sources. For all practical purposes, there are no other sellers competing for the motorists’ business and realistic alternatives don’t exist. Yet, the state’s citizens and other highway users have no channel to influence toll road management and pricing decisions. Upgrades and improvements to any highway viewed as competing with the toll road are likely to be postponed or ignored. Unnecessary congestion, underposted speed limits and arbitrary enforcement on alternative roads are silently condoned by transportation officials and elected officials. Think about it, toll roads can’t compete without the presence of congestion and motorist inconvenience on the public highway system. Are congestion problems going to be corrected if they threaten the income of the toll road? Not in our lifetimes! A major retardant to the expansion of toll roads, besides arbitrary tolls, has been the inconvenience of the toll-paying systems. Little is ever mentioned of the human carnage, property damage, air pollution, and inconvenience attributable to toll-booth systems. Government spokesmen always tell us that “safety is our first priority,” except where it interferes with revenue generation. In exchange for removing toll-booth inconvenience, accidents, and waste, motorists are being asked to accept higher tolls and invasive surveillance technology that can monitor the movement, location, speed and operation of any vehicle on any highway or road. While this type of surveillance will not be confined to toll roads, it is on toll roads where its use will be most easily rationalized. Compare that to our system of fuel taxes that charge users of the highway system based on fuel consumption. No charge cards, no electronic surveillance, no toll bureaucracy, no cameras, no roadside monitoring (no automated enforcement! ), not even any toll booths! That is, apparently, way too efficient and user friendly. Toll road proponents are fond of referring to the “new money” that will flow to highway projects. That new money comes from the same tired old wallets that pay existing highway-user fees. The difference is the highway users will pay twice; once in taxes and again in tolls. There are billions of gas-tax dollars being siphoned off for non-highway purposes, or covering government deficits. Anyone who thinks tolls will be any less likely to be usurped for non-highway purposes is not a student of history. As for building new highways with this new money, most new toll roads aren’t going to be new roads at all. They are going to be existing Interstates or Interstate corridors converted to toll roads-the same corridors and roads for which we have already paid. 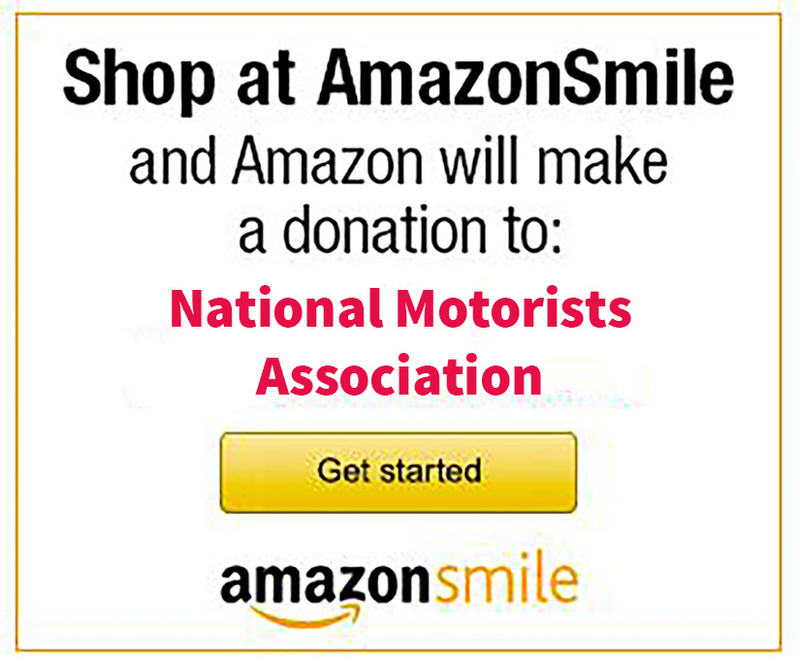 Join the National Motorists Association today and help us lobby against toll roads, congestion pricing and other road user fees.